Under Title VII of the Federal Civil Rights Act, and under the Fair Employment and Housing Act in California, an employer cannot take a negative employment action against an employee because of certain protected classifications. The protected classes are age, gender, race, national origin, disability, sexual orientation (in California) and a few others. Cal. Govt. Code §12940 et. seq. The law states that an employer cannot use a protected class as motivation for a negative employment action, and thus, an employer must have a legitimate business reason for its actions. As such, the at-will doctrine is not an iron clad shield against liability. Keep in mind that the law has boundaries. Conduct that may be considered wrongful, unfair, improper, unjust and/or harassing, is not necessarily actionable or unlawful, If such conduct was not motivated by a protected classification, then it is not unlawful per se. Even though unfair, not all conduct is unlawful. As to terminations, employees often assert that there was a “wrongfully termination” for which they can sue. Understandably, every termination seems “wrongful.” When an employee is terminated there has been a separation of an economic relationship that effects people’s lives greatly, and thus it always seems “wrongful.” Employees never say, “that termination went great” or “they handled that perfectly.” Although it may seem to be “wrongful,” in laymen terms, all terminations are not unlawful. it is generally within the employer’s right to terminate its employees, and an attorney will need to determine if the employer could be found liable. If so, the employee is entitled to recover damages, which include loss of earnings and emotional distress. It is important for employees to remain aware of the events that occurr when their employer takes action against them. 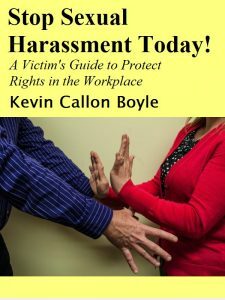 Although they may believe that they have suffered discrimination or harassment, the employer’s actions must be related to a protected class or some unlawful conduct to be actionable. An employee must determine the underlying reason for the action and the evidence that supports that conclusion, which may not be the reason they were told by their employer.